This soup is wonderful! It’s a great way to use squash that so is plentiful this time of year. It’s a wonderfully creamy and tasty soup. Not sure if you’d like squash soup? I wasn’t so sure myself! 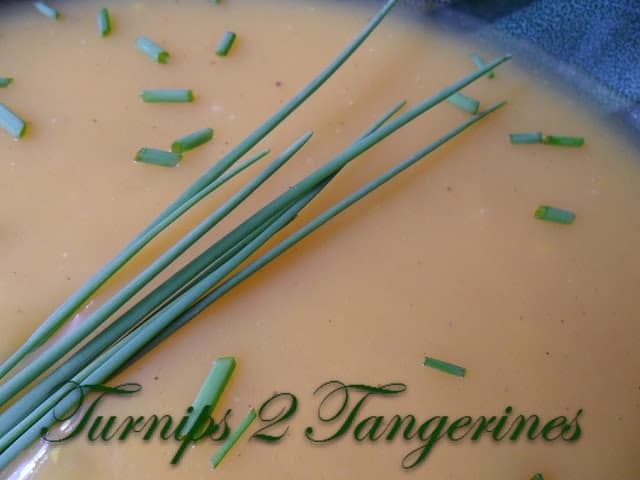 Before I thought about making home-made Creamy Butternut Squash Soup, I decided to try an already made butternut soup, the kind you can find in most grocery stores soup section. The brand I tried came in a carton and it wasn’t bad at all, so I thought what the heck, I’ll give it a go. 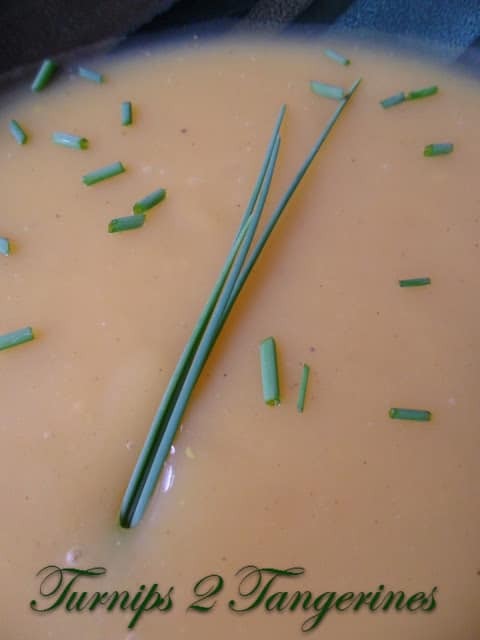 Creamy Butternut Squash Soup is not only made with butternut squash, it’s made with the other classic fall flavors such as apples and carrots. Onions, garlic and celery add even more flavor along with apple juice, vegetable broth and evaporated milk. Apple pie spice is also added to the soup to add yet another layer of flavor. Serve this creamy squash soup with cornbread croutons for a delicious and satisfying meal. The next time I make squash soup, I’m going to roast the squash first. I think roasting the squash first will add an extra layer of flavor and add depth to the soup. I would like to try making soup with maybe a red hubbard squash or kabocha squash, which would then give the soup a different flavor also. Don’t get me wrong, this was a delicious and satisfying soup but I would like to experiment and use different squash. In a dutch oven saute’ squash, onion, garlic, carrots, celery and apple in hot oil for 10 minutes or until vegetables are tender. Remove from heat and cool slightly. Using an immersion blender or process in small batches in a blender or food processor, process mixture until smooth. Transfer to a large saucepan. Add vegetable broth, evaporated milk, apple juice and seasonings. Stir and heat on low until heated through. 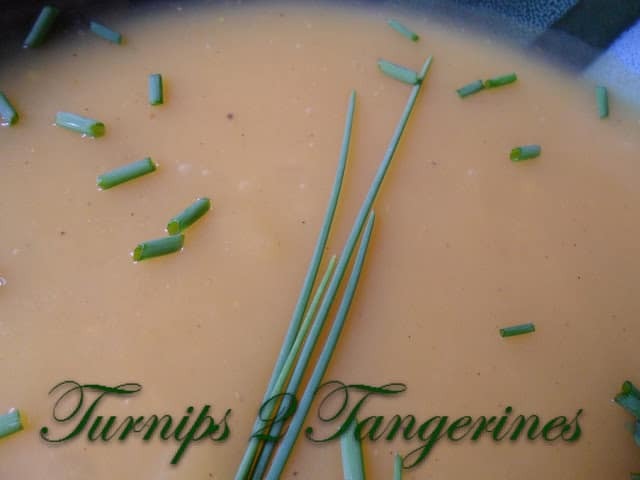 One Year Ago on Turnips 2 Tangerines…..Cheesy Cauliflower Bratwurst Soup. Have a sweet tooth?? Try this fall inspired fudge Maple Nut Fudge. I love butternut squash – I've always seasoned with curry, but want to give this recipe a try.